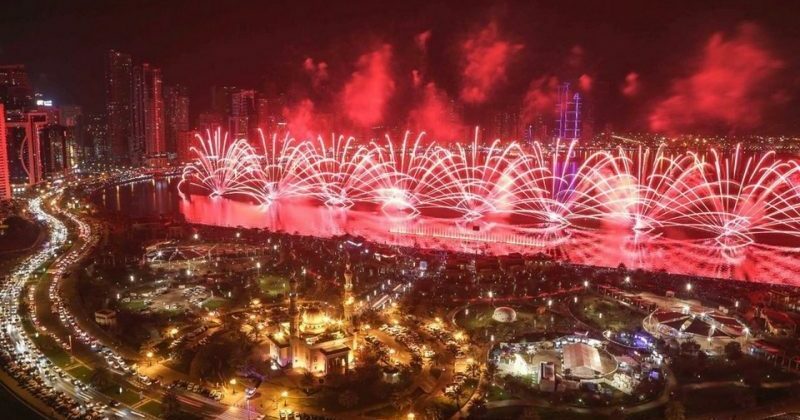 For the past 4 years, Ecocoast has been contracted to manage all marine works relating to the New Year’s Eve Fireworks in the United Arab Emirates. Our marine event teams have been carrying out design, fabrication and installation of barges and floating pontoons at the most prominent locations throughout the UAE, such as Downtown Dubai, Business Bay, Atlantis The Palm and Al Majaz Waterfront in Sharjah, just to name a few. To design and manufacture over 180 floating platforms, including 50 custom catamarans and trimarans, to withstand high forces and Shamal weather, and deploy the platforms along over 20km of Dubai coastline and waterways. Also to provide Project Management for all marine-based work involved in the yearly events. Year on year, Ecocoast was able to deliver a large scale job in a short amount of time. The fireworks’ displays always set off successfully at midnight on December 31 at the various locations. Ecocoast is honoured to have been part of so many New Year’s Eve fireworks events.